Join Rebecca Mieliwocki, the 2012 California and National Teacher of the Year, and Christopher Poulos, the 2007 Connecticut State Teacher of the Year, for an inspiring webinar, as they share and discuss innovative ways that educators can engage in the policy process. 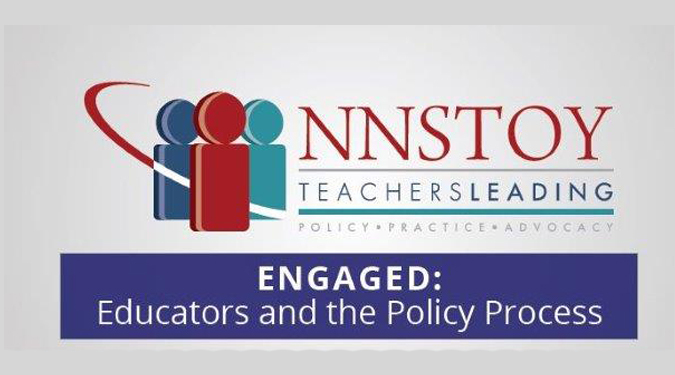 Rebecca and Chris will moderate a panel of expert educators who will share their strategies and discuss NNSTOY's White Paper, "Engaged Educators and the Policy Process." Panelists include Maddie Fennell - 2007 Nebraska State Teacher of the Year, Jeanne DelColle - 2012 New Jersey State Teacher of the Year, and Kristie Martorelli - 2012 Arizona State Teacher of the Year.